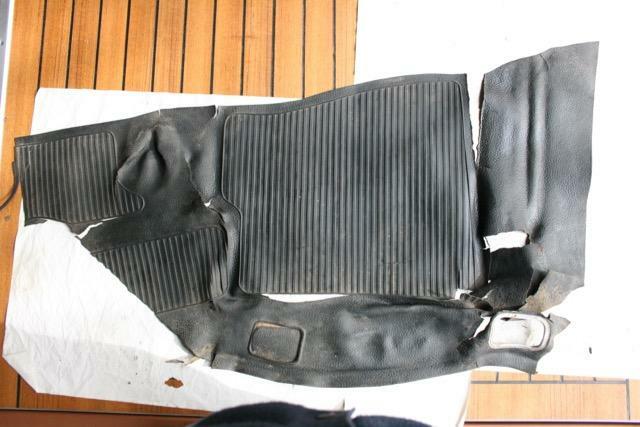 TheSamba.com :: Ghia - View topic - LOWLIGHT FLOOR MATS... THE SOLUTION! 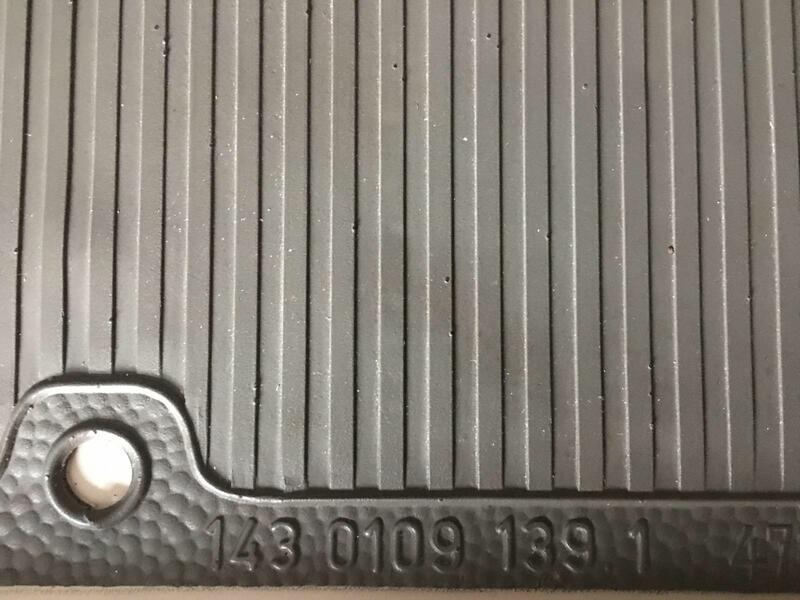 LOWLIGHT FLOOR MATS... THE SOLUTION! 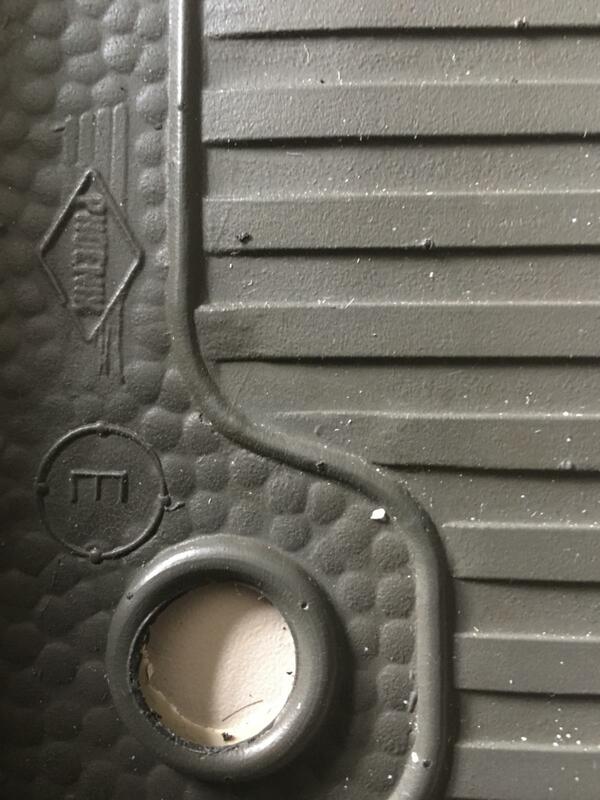 I guess we need to thrash out this floormat pebble/smooth edge debate. >Confirm the pebble edge version was available 58/9. >Was the pebble edge version available in 56/7? >Were 56/7 floormats only available in black? Smooth edge. Make is Phoenix. 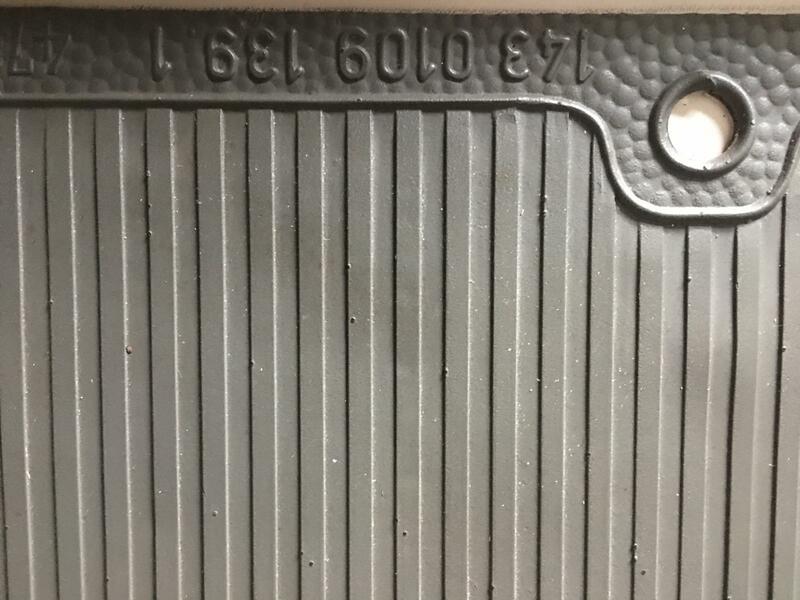 Believed to be from a 58/9 Coupe. Smooth edge. Make unknown. In BBTs Pearl White 59 Cab. 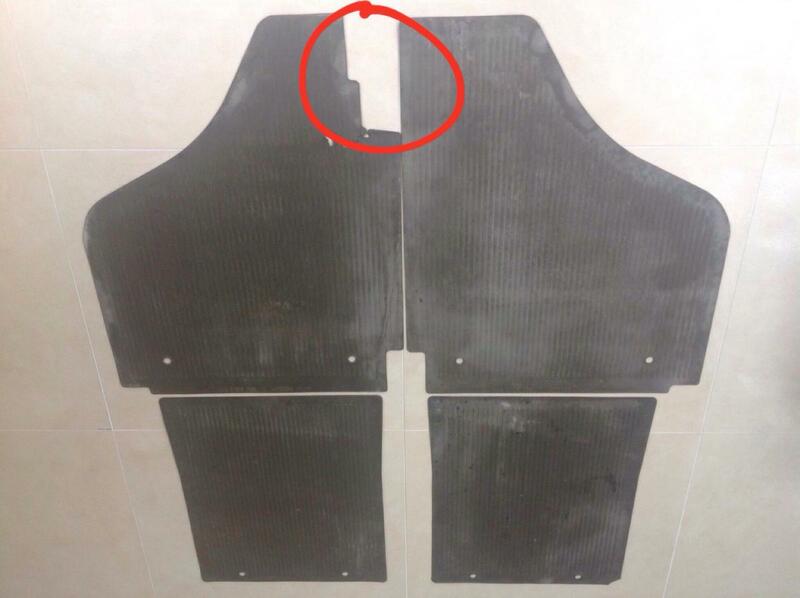 What floor mats did you use as your template? 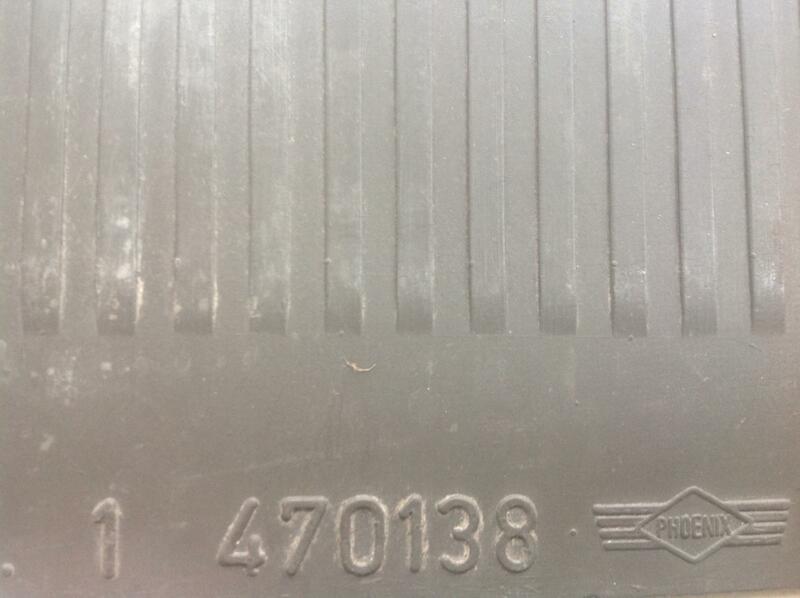 Year car from? 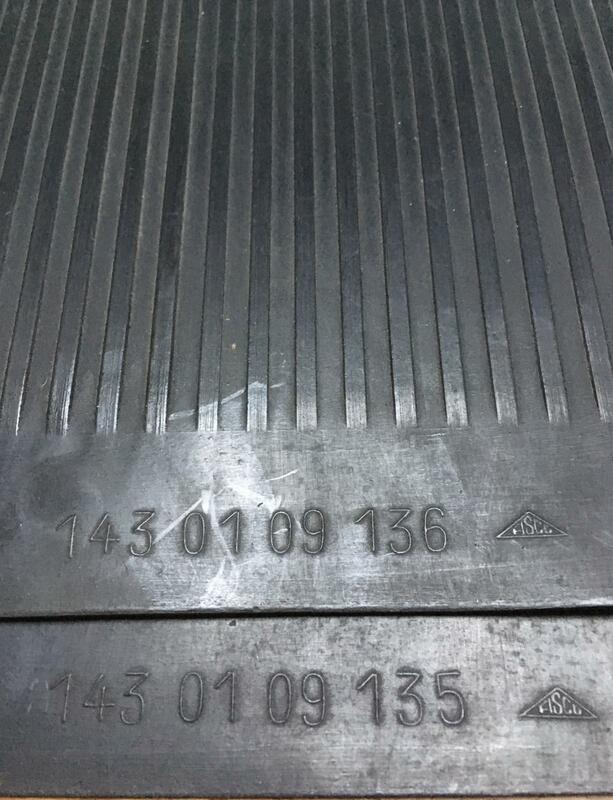 Mat manufacturer (Fisco)? Do the repros carry the makers name? I hope so. 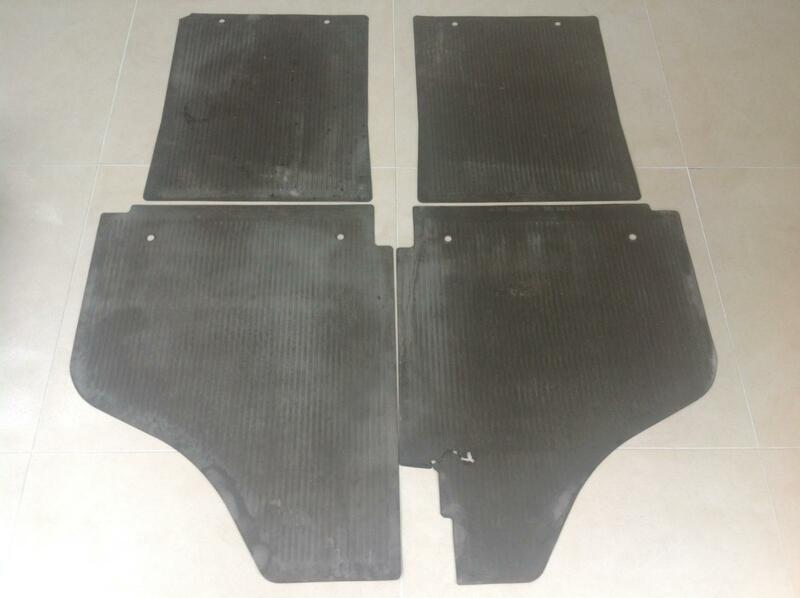 Fisco floor mats, black, smooth edges. Correct (I believe) for 56-57. Phoenix (I believe) were 58-59, smooth or pebbled? Don't know as we have seen examples of both styles now..
Two examples of the 56-57 style, black mats, coloured bulkhead and sill mats. Both from original cars, black 56,and Pelican red 57. I prefer the font on the Phoenix mats! Do you know what year car they are from? 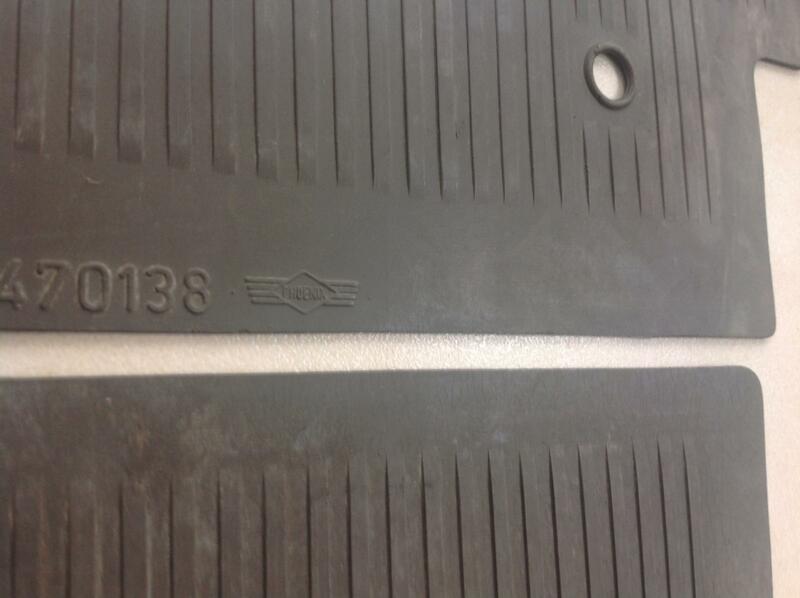 I will make the option to have Black (BK) Floor Mats available for any of the color codes. 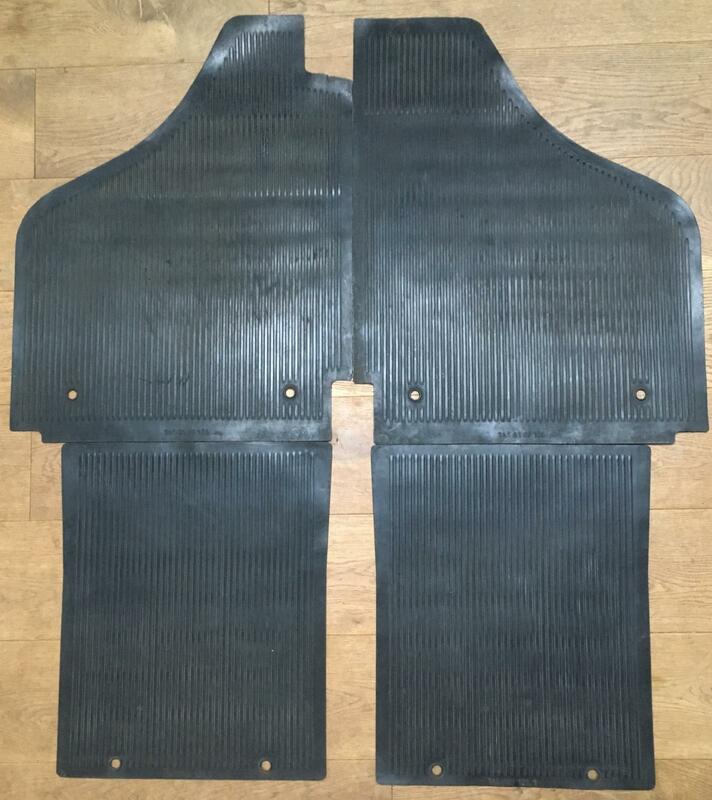 Phoenix mats, same colour as bulkhead and sill mats. Both from original cars with the later style interior, Cognac and Aerosilver. Appear to be smooth edged. 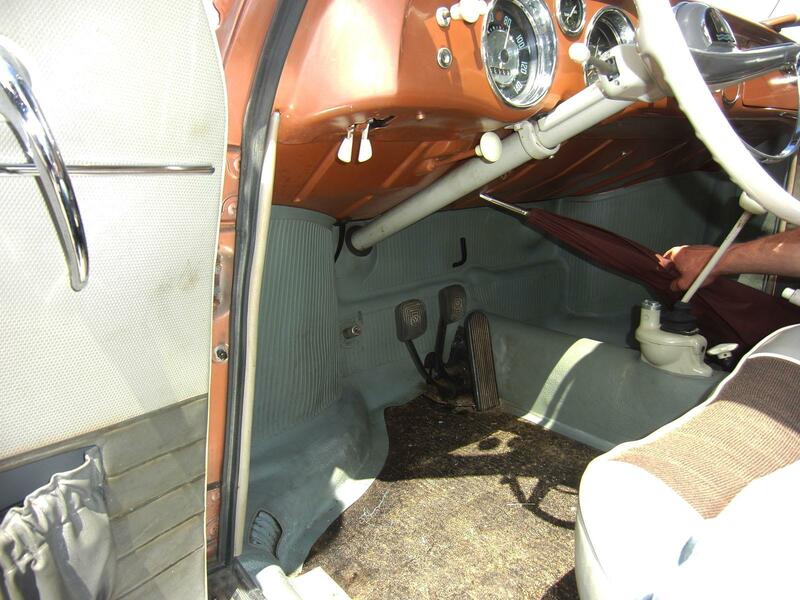 Sorry to be such a pain, but in light of the recent info, I will need Brown bulkhead mat. 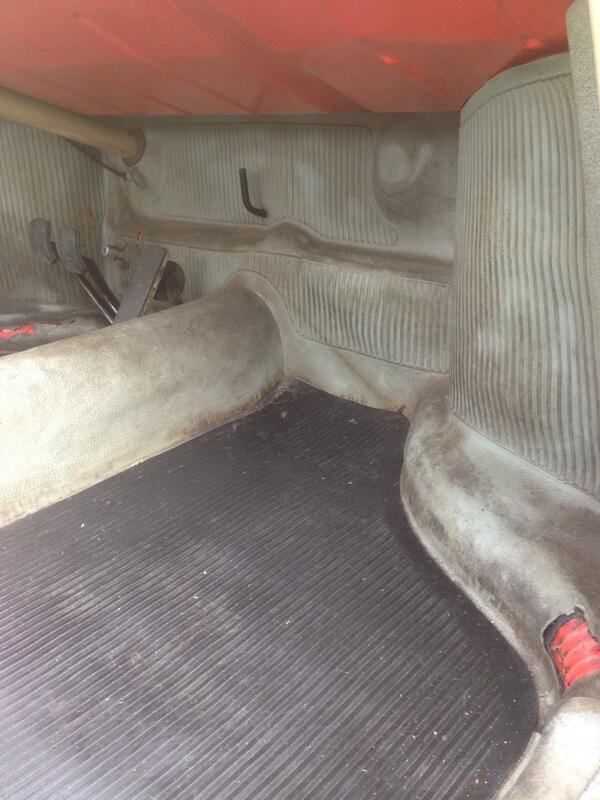 With black floor mats. I won't change it again. I am planning to do complete orders at once, for perfect color match. Before making them, I will contact the backer to confirm order details. Nice mats Jonas! 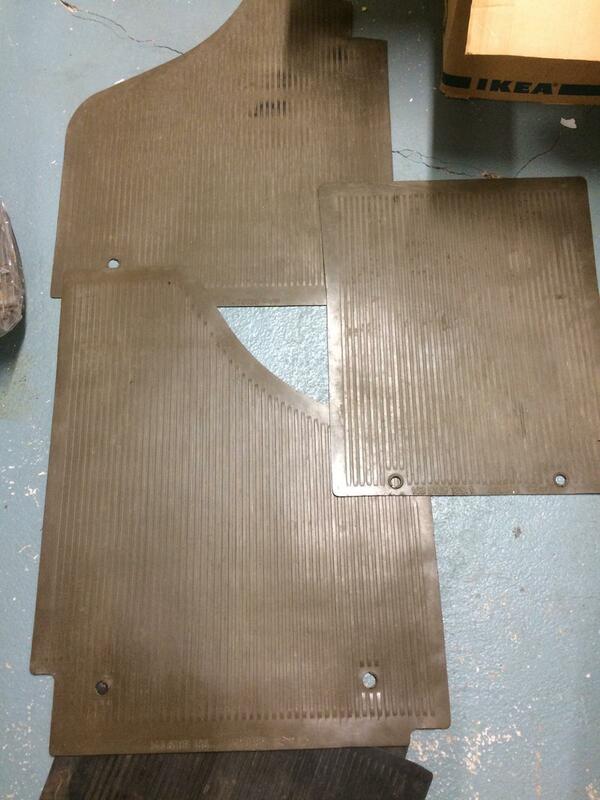 Smooth edge brown Phoenix mats from a Brilliant red '59. 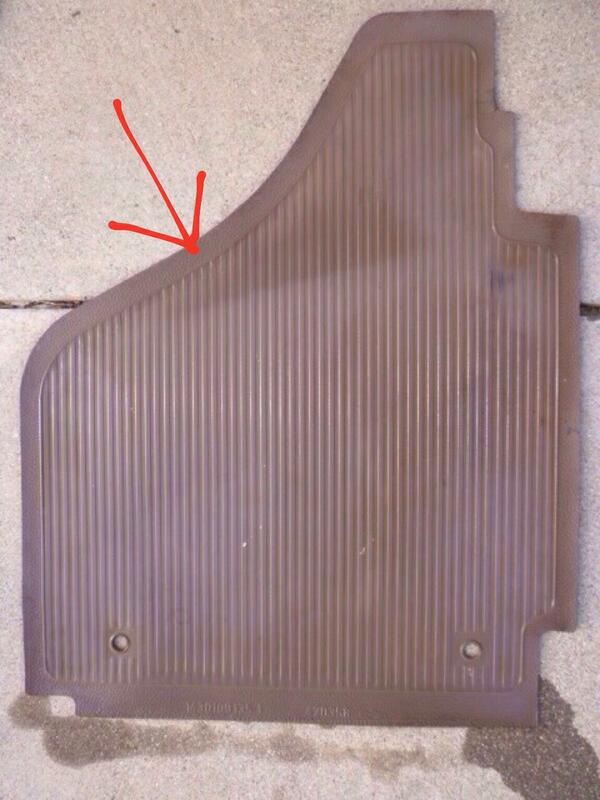 Pebbled mat, which I think is 60s, differs again in that it has an outline to the ribs. 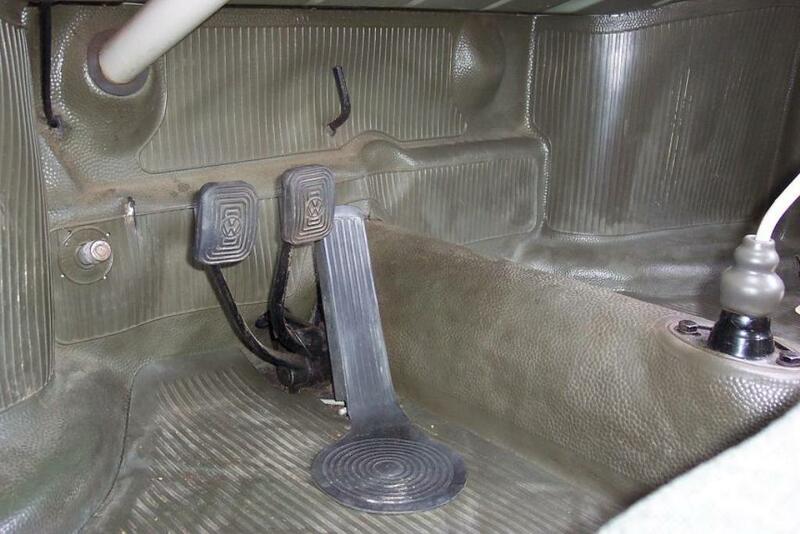 Same pedal area shape as 58/59. 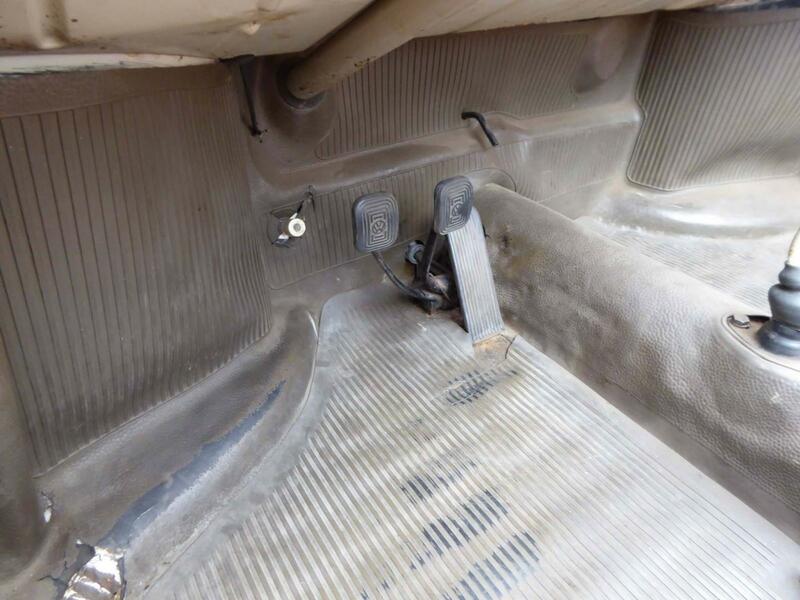 No outline on the smooth floormats (Fisco or Phoenix). Ribs fade out. Current evidence is pointing towards lowlight floormats being smooth. Can anyone else chime in with pictures of original lowlight mats? 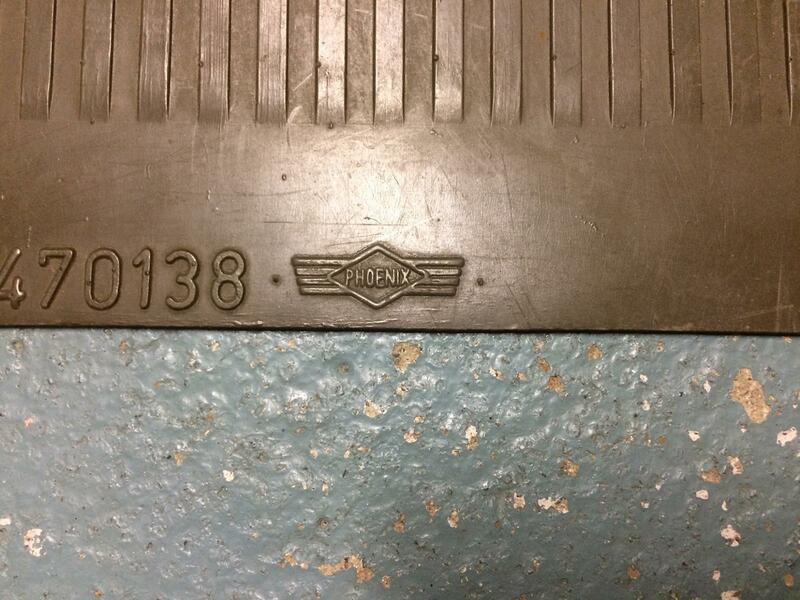 Anyone have pebbled floormats which they know to be original to their lowlight? Maybe I'm getting distracted. 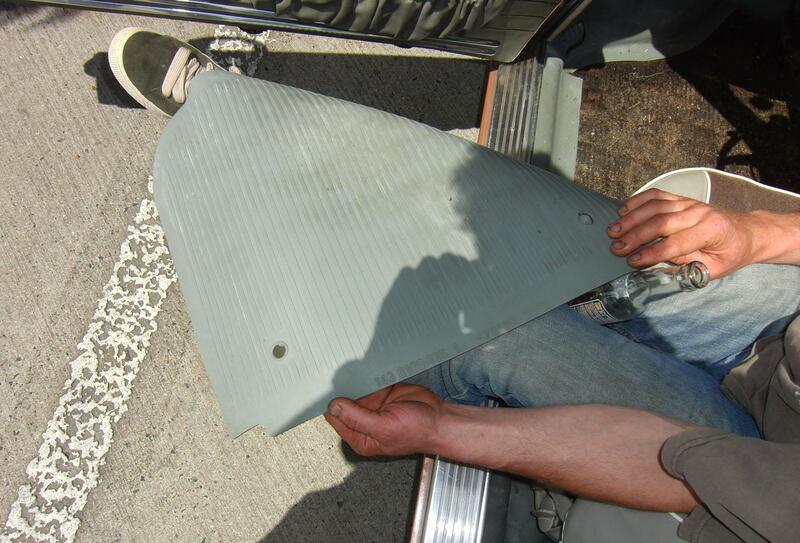 I'm thinking the main focus should be on getting that incredible repro bulkhead mat brought to market. I don't have any real close up photos but all that I can find look smooth around the edges. 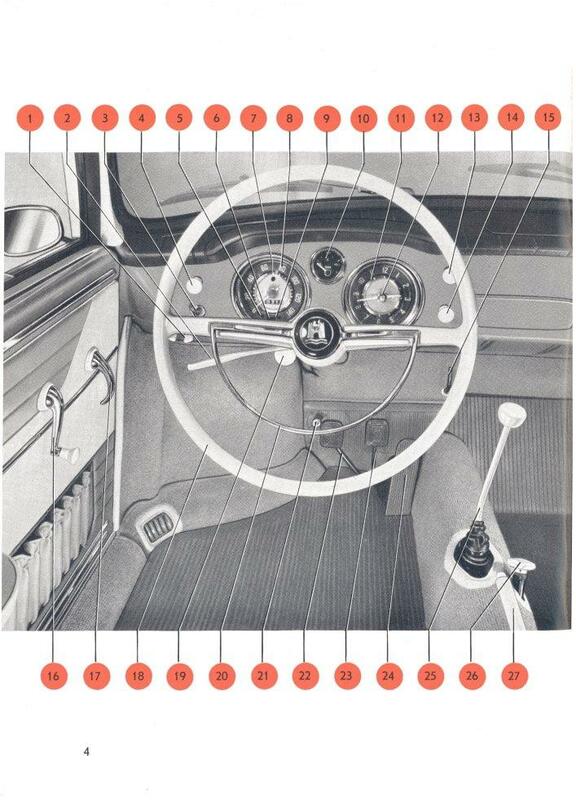 I would like to summarize the basic information regarding Low Light Karmann Ghia Mats. I know that for many of you this won't be nothing new, I hope it will help some of you. Please correct me if necessary, I’m aware that I may not be 100% correct! 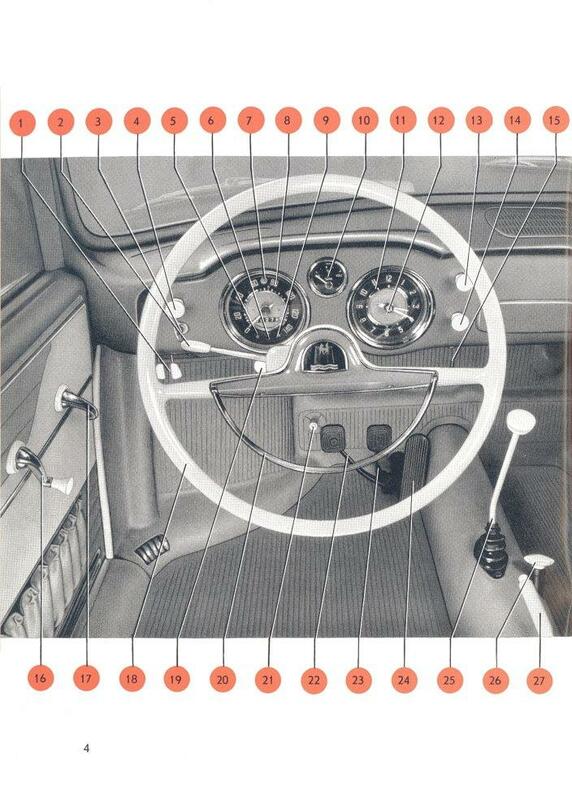 KARMANN GHIA VWs were made from 1955 to 1974. 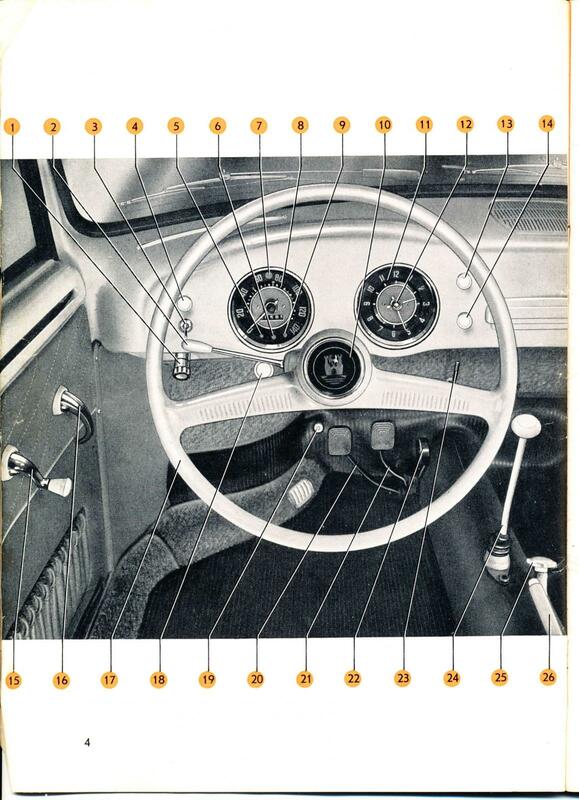 The early cars are called LOW LIGHT KGs because regulations forced VW to increase the height from the floor to the edge of the headlights a couple of centimeters (about an inch). 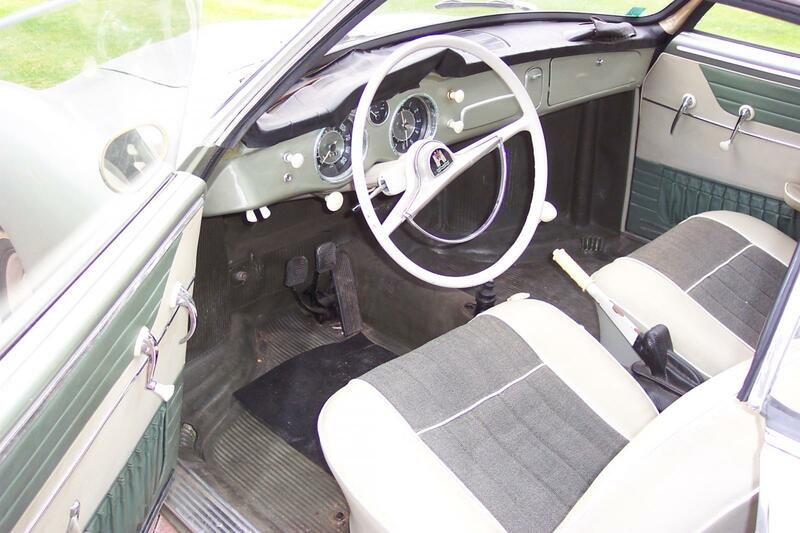 This change was implemented for the Karmann Ghia Model 1960, that started production in August 1959 from chassis number 2 528 668. During the first 4-year Low Light period, there were A LOT of changes for many components, may be more that all the changes after the model 60 until 1974! Some changes lasted days or weeks before there was a new change! 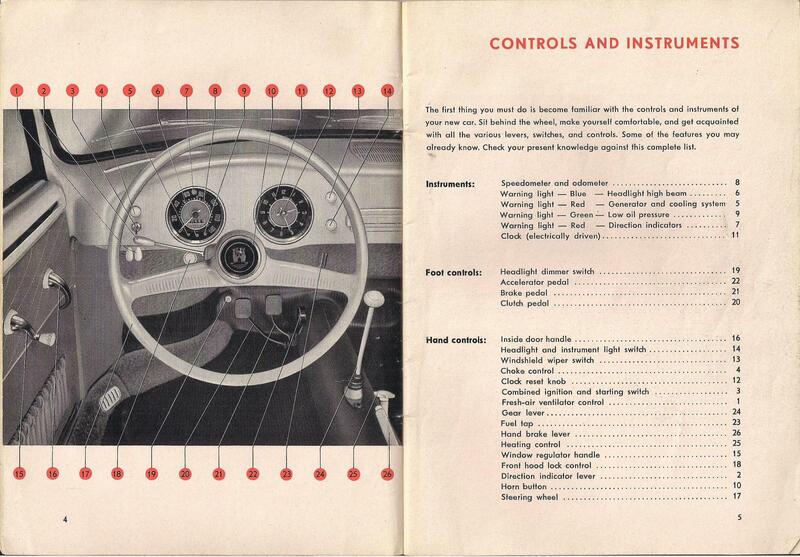 This was because a lot of hand assembly took place and VW had different sources for many parts. Color mats were available for the different car color options. 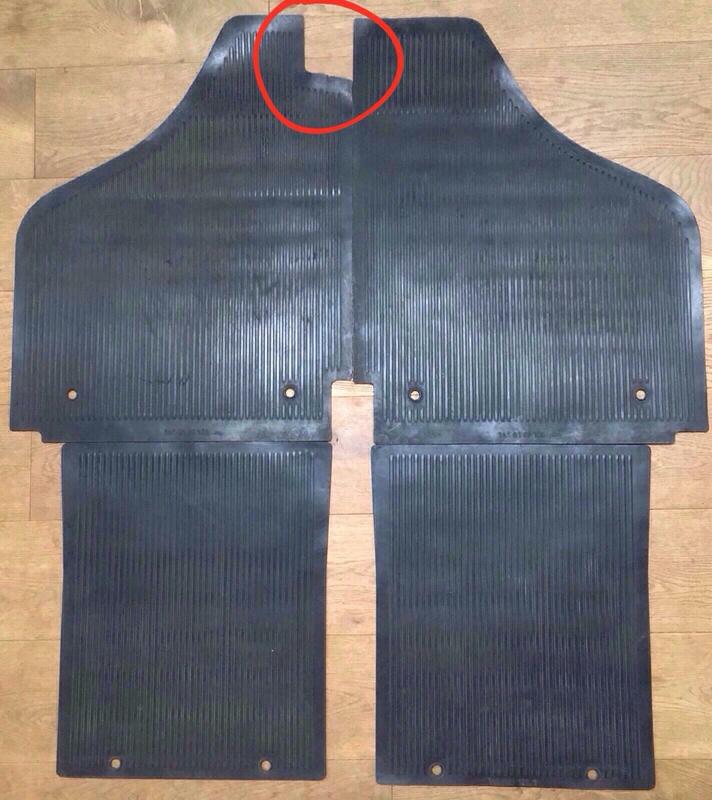 An important note is that ALL the mats were black in the rear side and colored in the top side, as there were made with two rubber layers. 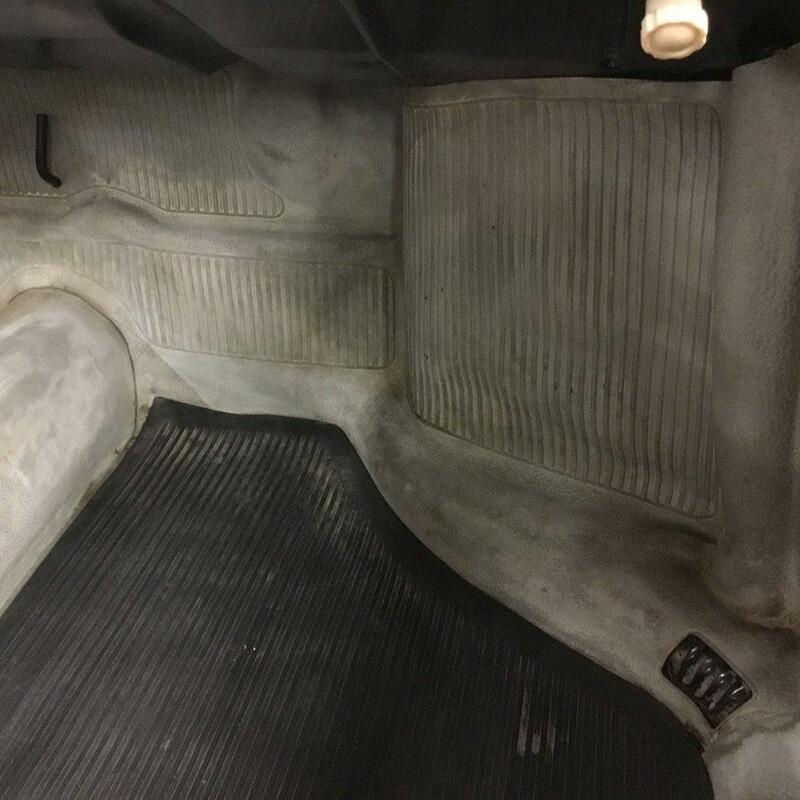 We know now that there were cars with the 4 floor mats in Black and the rest in color and cars with all mats in color. For those years, the available colors were: Green, Brown, Gray and Black. 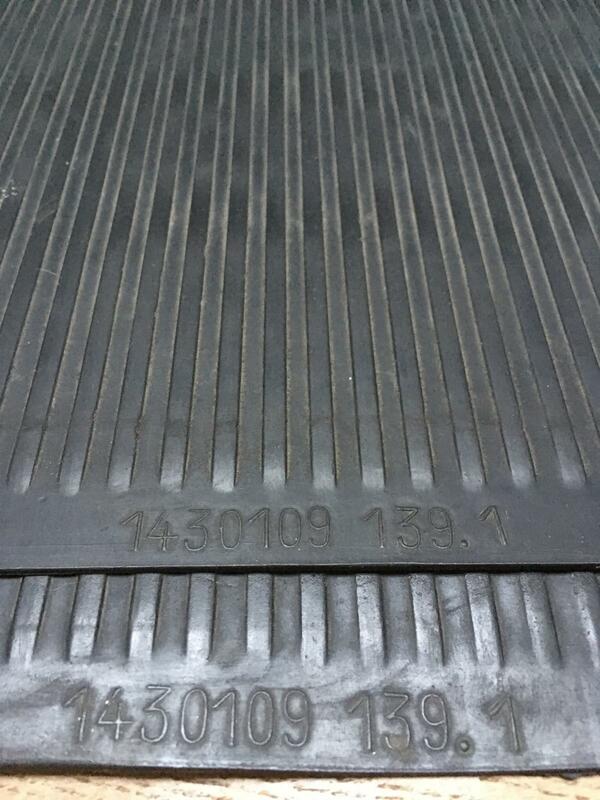 We can confirm at list two brands that manufactured the rubber mats: Phoenix and Fisco. 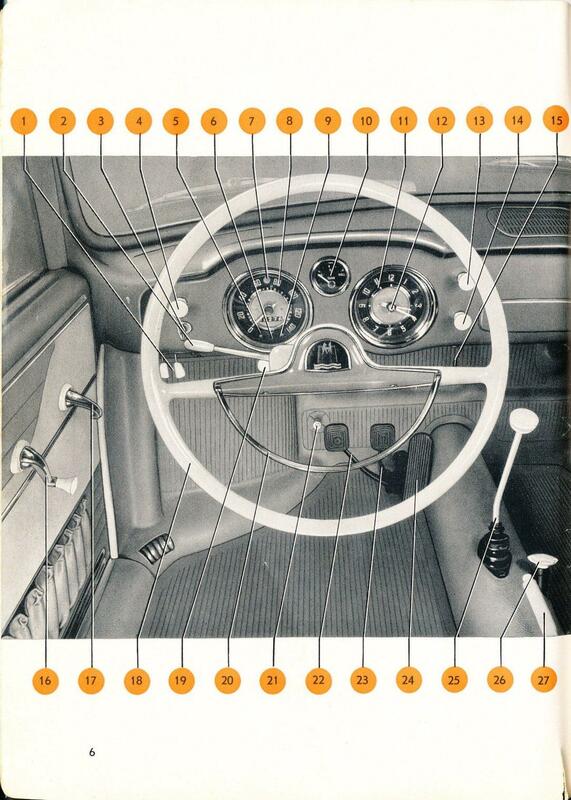 From original samples we know that there were different styles, basically mats with strips on a flat background and mats with strips surrounded by a border and the characteristic VW pebble pattern in the edges. 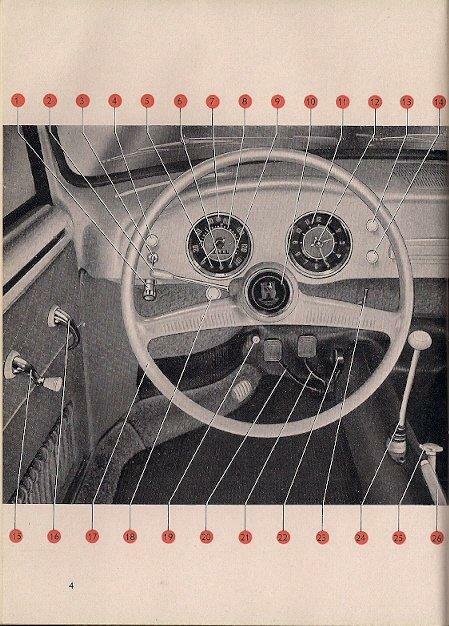 In the case of the front bulkhead mat, strips sections were always surrounded by a border and the characteristic VW pebble pattern. That means that one of the manufactures (or a person?) made the one piece bulkhead available for early Low Lights, as the vent close to the door was introduced before the one piece bulkhead! 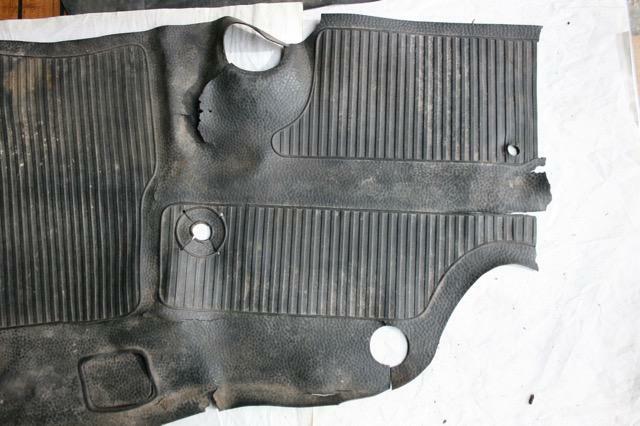 Therefore, we can conclude that the floor mats for Low Light Karmann Ghias with and without the pebble patter are CORRECT ONLY for Low Lights, not for 60 or later model cars. I will think that they can also be used in 60 and latter models taking the Foot Support out, as it is a removable part. If anyone has done that, please share with the forum! In my personal opinion, Phoenix started making mats without a border and without the pebble pattern and then upgraded the design to match the one-piece all-rubber front bulkhead mats, making this combination more pleasant and better able to contain liquid spills, as the open strip mats did not help on that. I understand that there is a difference, and I also think that both styles are correct. Having one or the other does not take away any originality value. As a matter of fact, having a set of matching color mats with the original looks will increase the value of any Karmann Ghia! As it stands now, my plan is to reproduce the pebble style mats, as those are the samples I have to create the molds! I'll post the updated backers list shortly, working with requests figures now, expect pricing tomorrow!